Risk analysis is the process of identifying hazards, assessing their risk, and managing your preparedness to them. Conducting a risk analysis on your own will identify vulnerabilities that you can prepare for to lessen their impact of the future. 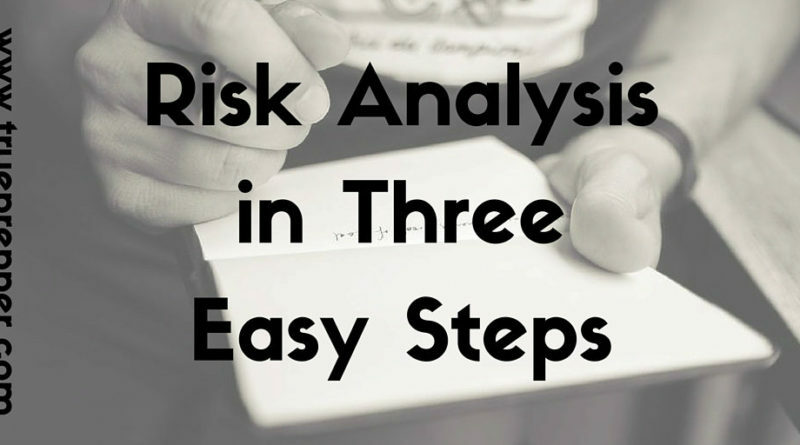 Risk Analysis is one of the building blocks of prepping, and is one of the first steps. The whole idea is to identify risks, learn their potential and how that potential risk may affect you or others. Grab a pencil and pad and feel free to jot down ideas as you follow along. Identify each hazard that could affect you and write it down. TruePrepper has a list of threats that they have already identified from their general risk analysis, so all you need to do is consider those hazards and add to them as needed. Try to think of as many possible disasters, emergencies, and attacks as possible and write them down. While many people (especially seasoned preppers) are comfortable discussing distressing scenarios, many can become overwhelmed in this step. Keep calm and remember that you are simply writing a list of ‘what could go wrong’. If you get upset or overwhelmed in any of these steps, take a break and come back to it later. The rabbit hole of hazards can be overwhelming and seemingly endless, so try to keep this step to less than an hour. Don’t worry if your list is too large, you will weed the lesser hazards out in the next step. Next to each hazard identified in the first step, rank or select each hazard that has a significant risk. Risk, simplified, is the probability of a hazard happening compared against it’s probable impact. This is the part where computers, algorithms, and historical data can all help to quantify the risk (assign it a number). This is not always necessary though, since a personalized risk assessment can be completed using qualitative analysis rather than quantitative to save time. While knowing historical data could definitely help assess the hazards, common sense and general wisdom go a long way as well. Writing “high”, “medium”, and “low” next to each hazard is a good starting point to capture what you believe the risk for each could be. Decide the order that you will prepare for each hazard. Once you have figured out how big of a risk each hazard is, do not be afraid to toss low probability and low impact hazards to the side. If you want to increase your scope, you can always run another risk analysis in the future and encompass more threats. Managing your risk analysis is important so you can prioritize which hazards you will prepare for first, if at all. If this is not your first risk analysis, or if you are a seasoned prepper, your prioritization may be based on how prepared you are for certain hazards already. In those cases you may not be focusing on disasters like most starting preppers, but may be focusing on attacks or SHTF situations. Prioritize the hazards based on their threat to you and your preparedness level, not just in general. Now that you have identified hazards and have a general idea of what to prepare for, you need to develop plans for each situation. Make kits that cover each hazard and use the gear in them regularly to become familiar with the kit. Practice the plans you have created to train yourself and others on the plan and your kits and gear. If you move, or have other drastic changes in your situation, conduct another risk analysis so you can be sure to capture any new hazards.